Colorado ranks second among the states for hail damage claims according to the National Insurance Crime Bureau statistics released Wednesday. The data ranks states from 2017 through 2016. Colorado had 90,002 claims in 2016, representing nine percent of all claims in the United States, up sharply from the 56,773 claims in 2015, but down from the 100,127 claims made in 2014. A hail storm in Colorado Springs resulted in more than 33,000 claims in 2016, over one-third of the state's total for the year. Texas had 378,652 hail insurance claims in 2016, representing 39 percent of the national total. Nebraska ranked third with 58,142 claims representing six percent of 2016's claims. Nationally, more than half of all hail claims are for damages to homes, while nearly one-third are for damages to vehicles. Most claims result from damage that occurs in May, followed by April and June. 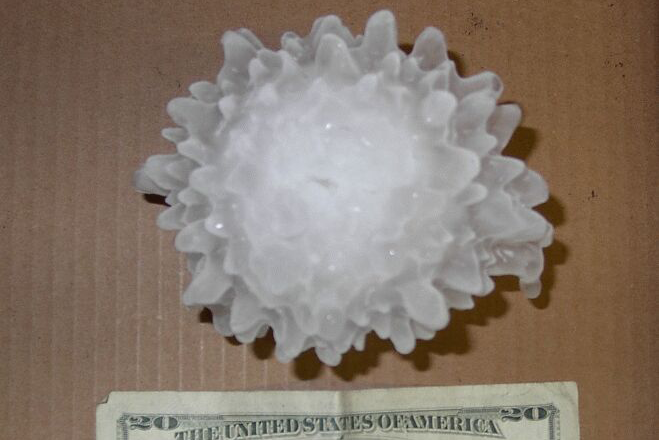 March and July are the next most frequent months for hail damage. The 2017 hail season is well underway, with a massive storm earlier in May causing severe damage in the Denver metro area. Damage at the Colorado Mills mail in Lakewood was so extreme, the mall is expected to be closed for months while repairs are underway. NICB warns about scams and fraud that frequently follow severe storms. Most such schemes start with an unrequested sales pitch from a contractor claiming to help rebuild from storm losses. Ask to see the salesperson's driver's license and write down the license number and their vehicle's license plate number. Never pay a contractor in full or sign a completion certificate until the work is finished and ensure reconstruction is up to current code. Make sure you review and understand all documents sent to your insurance carrier. Never let a contractor interpret the insurance policy language. Never let a contractor discourage you from contacting your insurance company.